Logstairways specializes in custom crafted stairway designs unique in function as well as form. Each stairway, post and railing system, mantel, or other log product is one of a kind and completely hand crafted from first draft to finished product. Offering many stairway styles to fit your floor plan as well as your budget. Complimenting each stairway you have a choice of hand railings and posts. 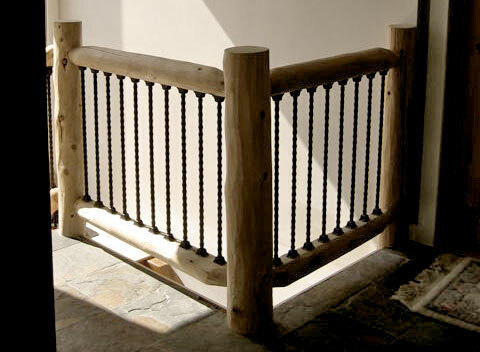 While most of the stairs that we build are log style we offer timber steps and timber railings as well. Our CAD design services allows you to visualize the finished product and provides you with detailed specifications for installation. 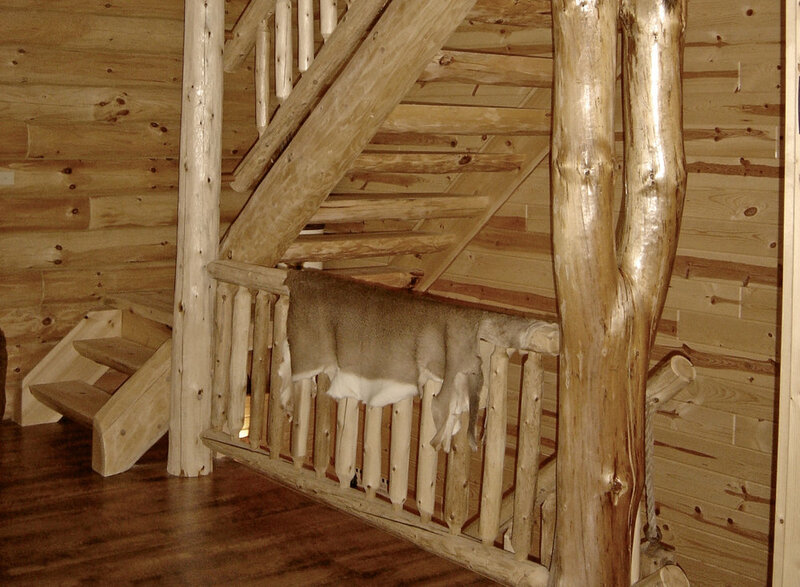 Logstairways is our name but we also offer log and timber railings and impressive log trusses for your entry or interior rafters. While meeting timetables and expectations of our customers with personalized service we will help you with your stairway, railing or other log and timber component and make them a reality. You'll be taking the right step in selecting one of our stairway products for your home, cabin or cottage. We will take it to another level. To ensure quality, Logstairways only uses raw materials that have been both kiln dried and air dried. As with all natural wood products, there may be checking on the full log surfaces. These heart-box splits do not effect the integrity of the product. Thank you for emailing Logstairways by Schneider Construction! You’re email is important to us, we’ll respond shortly. We practice LEAN manufacturing. It’s important to act environmentally responsible. Here are a few actions we take: Saw shavings are collected and given to local farmers for livestock bedding, and any wood scraps that can not be project applied are used to heat the workshop buildings and drive the Kiln.